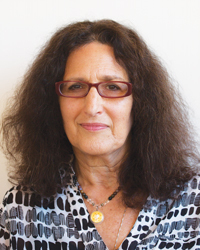 Sakti Rose, MA in Contemplative Psychotherapy/ Somatic Experiencing, SEP, is a senior Somatic Experiencing Practitioner and has taught mindfulness meditation in hospitals and meditation centers for more than 13 years. She has a private practice in Marin County working with individuals suffering from trauma and stress related illness. Her work is informed by over 35 years of Buddhist meditation with her root guru Chogyam Trungpa Rinpoche, Ven. Tsoknyi Rinpoche, Ruth Denison, and numerous Buddhist and Non-dual masters in both the U.S. and Asia.